It is unfortunate but true that many automobile drivers do not respect the rights of pedestrians. Motor vehicle operators have a responsibility to obey the laws of the road and drive in a safe and attentive manner at all times. Likewise, pedestrians must also obey the rules of the road. Often, it is when these rules are not followed that serious injury and even death can result. 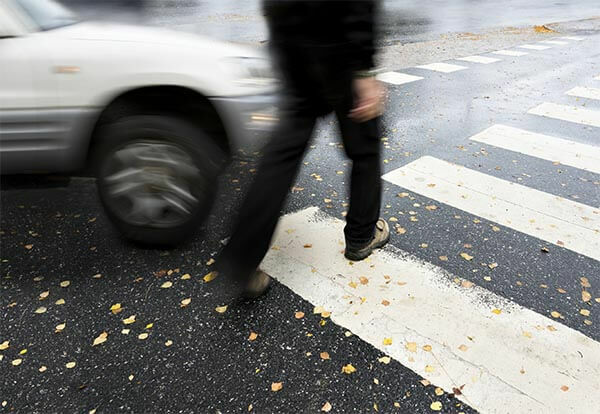 If you or a loved one has suffered a pedestrian accident or you have a question that has not been answered, call us now at (800) 888-8888 or click on Contact Us. A pedestrian should always walk on the sidewalk. If there is no sidewalk and you have to walk in the road, you should walk facing traffic. This will allow you to see oncoming vehicles. Dress in brightly colored clothing. This makes it easier for drivers to see you during the day. Reflective clothing should be worn in the evening, such as shoes or jackets to reflect the headlights of oncoming vehicles. You should always cross the street at a marked crosswalk. If a car is parked where you are crossing, make sure there is no driver in the car. Then go to the edge of the car and look left-right-left until no cars are coming. Keep looking for cars while you are crossing, and remember, walk. Don’t run.